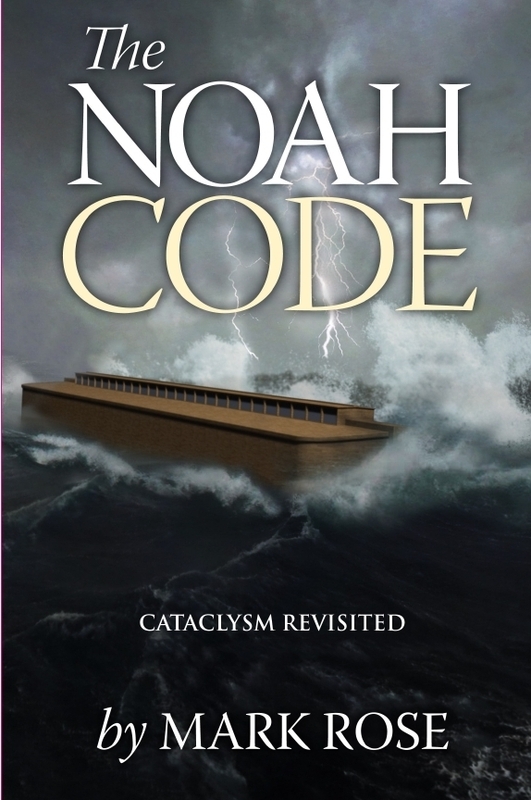 Noahs Flood impacted the spiritual, historical and scientific realms of humankind. To this end, The Noah Code promises to shed new interpretive light on the Genesis account from both the Bible and science. Covering a number of late-breaking and little known scientific finds, this work is an enlightening read and a challenge to modern origins thought. Author Mark Rose revisits the man Noah, whose faith and obedience changed the course of mankind. Updated with the latest evidence and past works of naturalists including Darwin, Cuvier and many others. From the Himalayas to the Andes, from South Africa to Antarctica, scientists agree that the remains of a past cataclysm are found everywhere. A compilation of over 35 years of study and field research, and an extensive career working in the largest underground mines in the world, Rose logically and honestly sets the record straight concerning the Genesis Flood in easy to understand terms. • The Arc built with human hands is likened to mansions, the latter being built for humanity by Christ the carpenter, ready to receive new tenants. In 2014, a mineral called ringwoodite is located beneath earths crust, containing a volume of water equal to three of today oceans. New evidence from genetics show a anomaly indicating all mankind went through a population gap aligned near the date of Noah flood. A Fossil deposit in South Africa is thought to contain the remains of 800 billion animals in strata miles thick, covering 200,000 square miles. • An event horizon was identified by early explorers, showing an extinction zone of animals and man buried deeply in flood deposits, later overlaid by those who were agrarian, herdsmen, and used art. Whale remains were found across 5 States, these in such quantity that huts and fences were built of their bones. Plesiosaur remains have been found above 5,000 ft in multiple locations, how did they get up to that altitude? Geologist Dwight Dana commented; "A giant wave must have crossed the continent." Early naturalists noted that many of the skyward facing mountain fissures (like Gibraltar) were found full of broken bones, these from extinct mammoth, rhino, tigers, bears, including the remains of people, suggesting a floating biomass settled on them. An entire chapter is dedicated to this phenomenon. In 1470 a ship, crew and cargo were unearthed 300 feet deep in a mine near Bern, Switzerland and another in Greenland. Many caves were found with the remains of people mixed with extinct/modern animals, suggesting they were once confined in struggle. One cave alone contained the remains of over 2500 bears. What option would people have if the earth was engulfed in earthquakes and typhoons for 40 days and nights, every structure flattened and the waters raising? Noah Code documents these finds and much, much more! I can honestly say that what you have written goes far beyond what I have ever read. I truly believe that God is going to use this book to His glory and as a blessing to multitudes of People - Brenda 10 Stars of !0, CBM Book Review. 350 pages, over 100 maps and images. Rose holds numerous patents and has written many trade articles for the mining, railroad and aviation industries. He is regularly called upon to contribute content for trade publications and newspaper articles regarding his work in safety and wireless technology. Early on in his career, Rose was a pilot in Alaska flying both fixed wing and helicopter equipment across the State. He took part in a number search and rescue operations in the Arctic during that period. He holds FAA licenses as a Commercial Pilot and certificated Airframe and Powerplant technician. He is also a wireless design engineer, and is a licensed engineer as authorized by the FCC. Central to his writing career, Rose has a 38 year passion for the better understanding of origin science, attending university geology classes and lecturing on this topic to numerous groups and conferences. Founding Genesis Alive in 2013, Rose is devoted to defining truth in science as it relates to the Bible and religion as a whole. The motto of his organization Genesis Alive - "Championing Origins Truth" says it all. Rose has accomplished field work in the Grand Canyon and at Mt St. Helens. As part of his technical career, Mark worked in the mining industry traveling the globe for over 25 years, working deep in the crust in many of the largest mines in the world, an experience which gives him a unique knowledge base few are able to attain, often working thousands of feet underground.